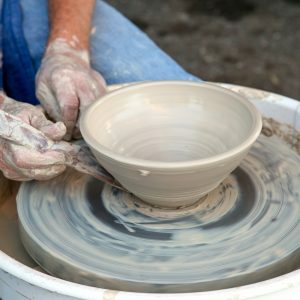 During this four week course you will use a range of handbuilding techniques including pinching, coiling, slabbing and use of press and hump moulds. You will also be able to try out wheelwork if you wish or develop your skills if you already know the basics. You can explore the many ways of using texture and decorative techniques in your work. 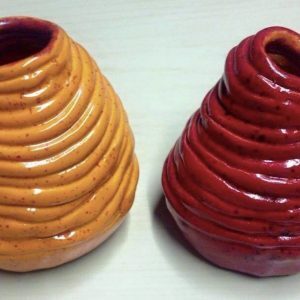 Weeks 2,3 and 4 – continuing tu use handbuilding and wheelwork techniques, adding colour with slips and glazes, and finishing pieces ready for final firing and collection. Please note:- There is no course on Sunday 19th May 2019. 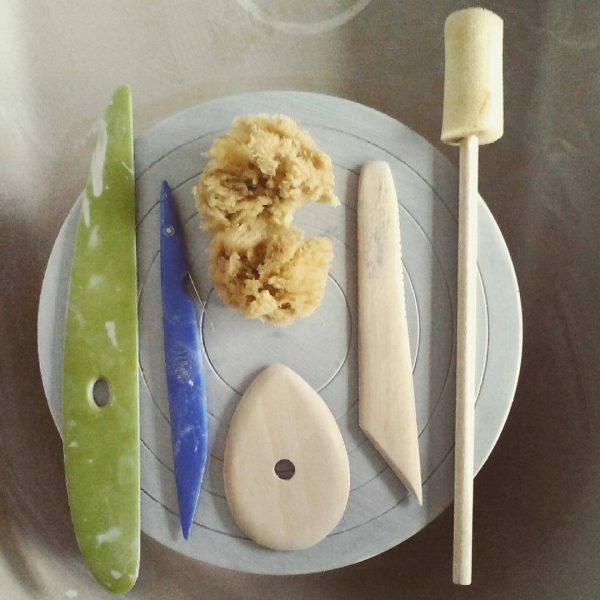 We are delighted that Fiona Scanlan, ceramic artist, is teaching at Sundragon again in the year. Join her class, and get to explore and play with clay. 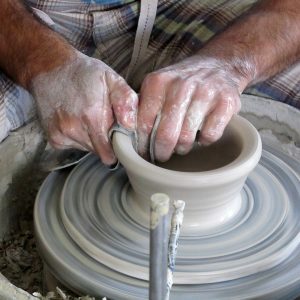 You will learn many of the techniques associated with creating objects from clay. This is also a great introduction to studio life at Sundragon, and a beginning point if you are thinking of becoming a member.